The Thousandaire Brunch is Back! - Cheshire Moon Inc.
Love money and mimosas? Then have we got the perfect Sunday Brunch for you! Join us at Mofilm in Culver City for a delicious brunch provided by Beverly Hills Premiere Catering, mimosas, bloody marys, and PRIZES! There’s a 3-in-100 chance that you walk away with at least part of our cash grand prize, so what are you waiting for? 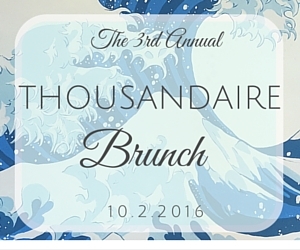 Get your ticket to this year’s Thousandaire Brunch before they are gone! Click here for details. See you there! ← Dance with Dancescape THIS FRIDAY!